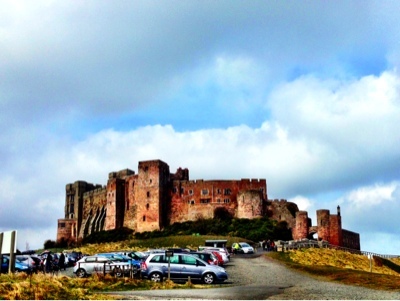 I have never visited Bamburgh castle. I have always wanted to though and after reading rave reviews I added it to my list of places to go this Easter. 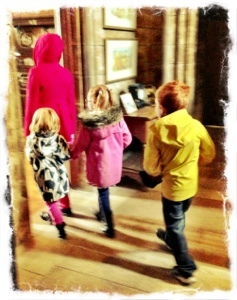 On the day of the visit we took our own 3 children plus my 2 nieces. It is quite a long but picturesque drive (on the way we passed Warkworth castle which looks lovely on is on my list of places to visit in the summer) and I like how you can spot the castle from quite afar and admire it's view on your drive. We followed the signs for parking which is priced at £2 all day. The parking attendant was very friendly and cheerful, telling the children in the car stories of a dragon he had seen in the morning. 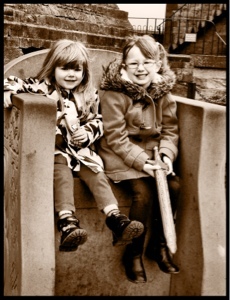 We paid our entrance fee (£24 for a family of 5 plus under 4's free) and started to explore. Immediately, the children loved it! 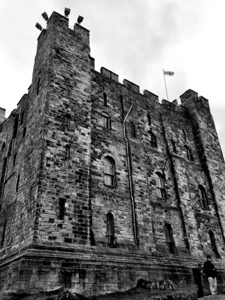 Despite the freezing temperatures, they were walking along the castle walls, peeping through battlements to see the sea and climbing on canon's. The freezing temperature's were too much for me though and I quickly found the entrance to the state rooms which were sheltered and a lot warmer than outside! 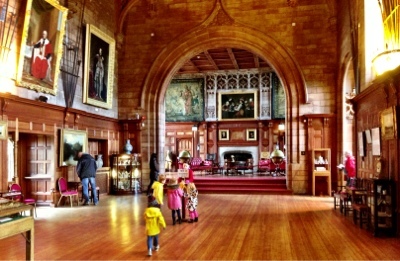 Inside Bamburgh castle is set out exactly how you imagine the inside of a castle would look like. We all enjoyed looking at the servant's rooms and learning about what life was like, viewing the impressive armoury and the grandeur of the king's hall and using mirrors to look at the impressive ceilings. There are staff in most rooms who are happy to point out items of interest and you are encouraged to take photographs which was very refreshing! Everybody was very welcoming to our 5 children as well which was very nice. 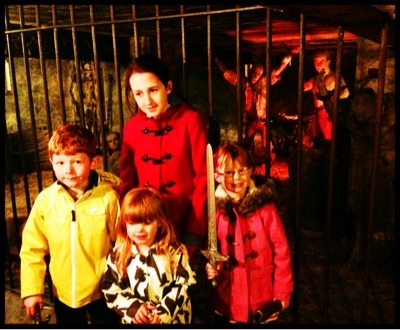 The highlight of our castle tour for everybody definitely had to be the dungeons, which had been mocked up to show real people trapped inside. Our children loved it. Back outside we sat on a huge king's throne and tried out the stocks before visiting the Armstrong and Aviation museum which is housed in the West side of the castle and included with your ticket. My 2 year old particularly enjoyed this part as with most 2 year olds, he loves aeroplanes and there were a few models in the museum. Back outside again, we admired the view from the windmill out to holy island on one side and the farne islands on the other. 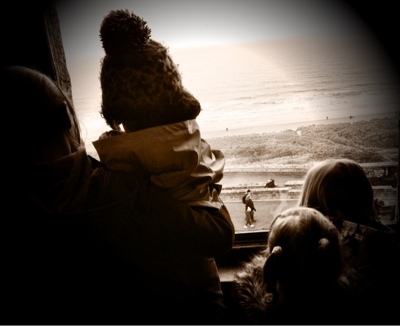 The views from the castle are just spectacular and have to be seen to be believed. Before leaving, we paid the gift shop a visit and the children bought a plastic sword and cover which at £2.50 was not a bad price. 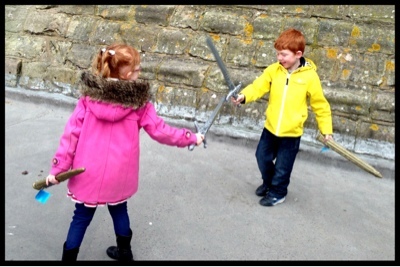 They enjoyed re-enacting battles with each other and drawing their swords to hunt for dragon's within the castle grounds so they were really worth the money. It is a shame the day we visited it was bitter cold. On a mild day, I imagine you could spend all day here exploring the grounds, taking a stroll on the beach and having a bite to eat in the tearoom within the castle. 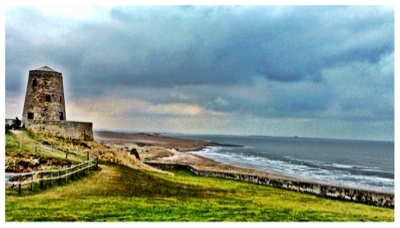 Despite the weather though, I'm still really pleased we paid Bamburgh castle a visit.